This article was first published on Oxfam’s 3things website on 8 May 2013. It was written for Oxfam’s GROW campaign, which creates awareness of the changes needed to fix the broken food system. Supporting small-scale farmers is the second of six steps to a better food system. This article is Australian-centric but it translates to our international food habits. Read my previous GROW method blogs here and here. Stay tuned for my post about this campaign and why I care. You walk into a coffee shop, place your order at the counter and you’re given the change. The barista begins the ritual: the metal handle is removed from the machine and banged against plastic; the coffee is dispensed into a metal basket and twisted into the group head. A coffee mug clunks against the drip tray and the barista presses the button for coffee. There’s a hiss of steam from the wand and the milk is whisked; it’s pulsing and purring, hopefully not sputtering. The metal jug is banged against the bench, the milk poured, the chocolate shaken, and voila! Your cappuccino is ready. The coffee ritual in the West is ubiquitous which makes it terribly easy to forget where those beans came from. Unfortunately we live in such an upside-down world where many of the world’s hungry are the ones keeping our coffee addiction alive and starving for it. We know we live in a nutty world where everyday life poses enough challenges to keep us busy for a lifetime but that shouldn’t stop us from being mindful of the world’s poor and creating a better food system for everyone by supporting small-scale farmers. It’s not just your coffee cup; it’s 2.25 billion cups each year and the earth doesn’t seem pleased either. This is where the spirit of Mindful in May comes in handy. It’s easy to run away from these issues because coffee is actually escapism in a cup. However, we’re paving a better future if we give ‘food security’ space in our minds by becoming aware of reality, appreciative and without delusion. Every purchase matters. Greater consciousness of the challenges facing small-scale producers leads to collective action and positive change. If more of us rid ourselves of hatred and anger and instead focus our attention on using conviction and/or our sense of justice (to rally against governments, if you like) for the benefit of small-scale producers, we’ll continue to see greater equity for the hungry. The sooner we stop dusting the world’s food problems under the rug and become aware and able to tackle the reality of things, the better. And that doesn’t mean just giving our egos a massage! We’re in the midst of Fair Trade Fortnight (4-19 May). Look for events near you and get in quick because they’ll be over soon! 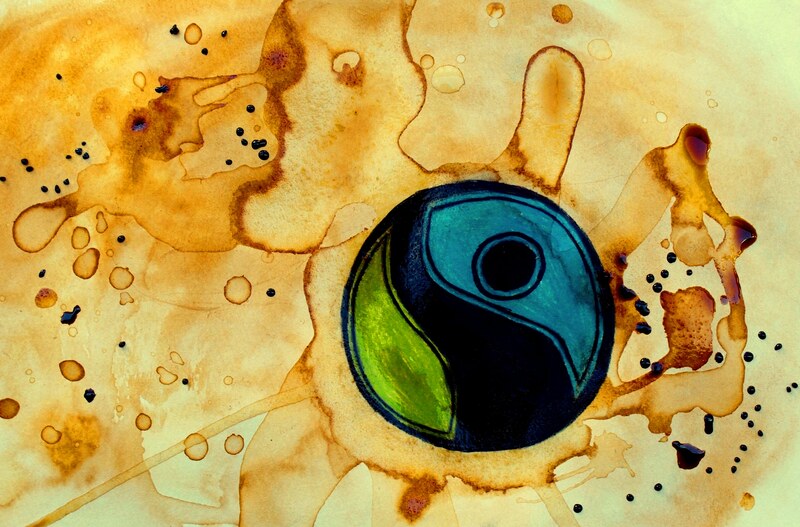 Lastly, paint the world Fair Trade (and get governments to do the same)! Do you feel disconnected from food production in developing countries? What are your thoughts on ethical and mindful consumption? Hi, Julie. Just wanted to drop a line to say that I appreciate your conscious articles about food. By the way have you read Anastasia – the Ringing Cedar Series by Vladimir Megre? If not I highly recommend.